– Christian Taylor talking about last year at the Doha Diamond League meet when he had the best second place triple jump in history by going over 18 meters, but still losing to Cuba’s Pedro Pablo Pichardo. 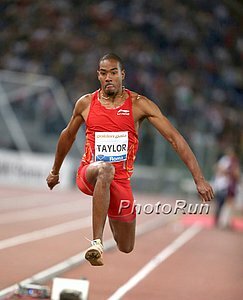 Taylor went on to beat Pichardo at Worlds by scaring the world record with a 18.21m jump. Has U.S. Anti-Doping Agency dropped the Oregon Project investigation w/ Alberto Salazar? Perhaps the biggest Hobby Jogger failure of ALL TIME? 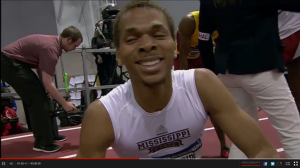 Meet Preview LRC Will Almaz Ayana Break The 5K WR? Ajee Wilson Makes Her 2016 DL Debut In A Stacked Women’s 800, And Kipruto Vs. Birech Round 3 In The Men’s Steeple Wilson looks to be in good shape but has her hands full in a truly spectacular women’s 800 with Caster Semenya, Francine Niyonsaba and all of the medalists from 2015. There’s also Elijah Manang’oi in the men’s 1,500, Trayvon Bromell in the 200, Justin Gatlin in the 100, Wayde van Niekerk in the 400, Marquise Goodwin vs. Greg Rutherford in the LJ, English Gardner vs. Elaine Thompson in the 100 and Gianmarco Tamberi in the HJ. 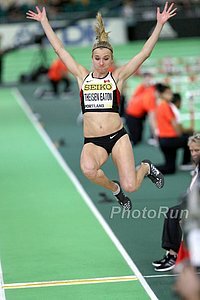 *IAAF Preview: Caterine Ibarguen And Greg Rutherford Will Highlight The Horizontal Jumps Valerie Adams in the SP. Northwest Arkansas Democrat Gazette: Are The NCAA Regionals A Waste Of Time & Money? Many coaches, athletes and fans complain and this writer would like to see it go back to a descending order list qualification system. Ken Goe Takes A More Unbiased View On The NCAA Regionals Goe acknowledges that they can only hurt big schools, but give smaller programs a chance to qualify athletes who wouldn’t otherwise get in. 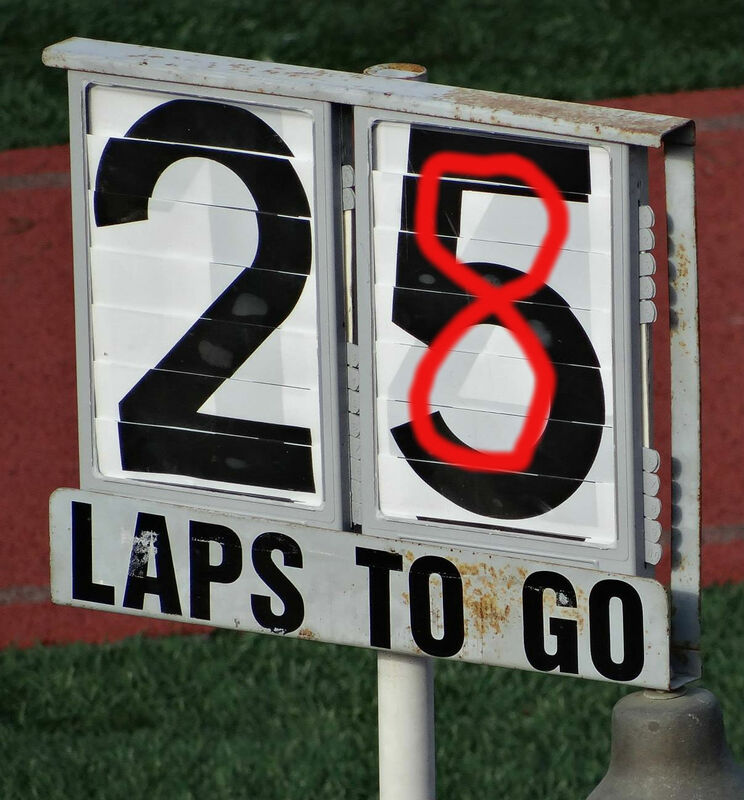 Ken Goe Says Jasmine Todd Quitting And Hannah Cunliffe Not Qualifying In The 200 Are Big Blows To The Oregon Women The form charts which projected Oregon to win had Cunliffe getting 2nd in the 200. Vin Lananna Fleshes Out The Timeline For Hayward Field Renovations They will start this fall and will pause in spring 2017 to host a few meets like Pre and NCAAs. 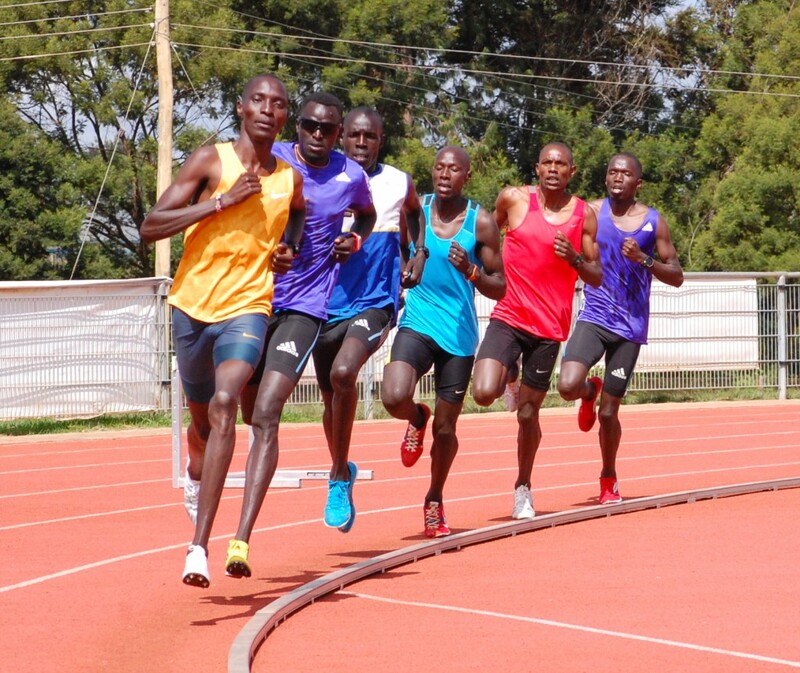 June 9th: Asbel Kiprop, Taoufik Makhloufi, Ayanleh Souleiman And Silas Kiplagat Head Dream Mile Field At Oslo DL Meet Ryan Gregson, Elijah Manang’oi (3:29 1,500 PR) and world indoor silver medalist Jakub Holusa are also in the race. Saturday: Geoffrey Mutai Looks To Return To His Winning Form At The České Budějovic Half Marathon Mutai will face 59:30 man Barselius Kipyego as well as a slew of other Kenyans in the 60-61 minute range. Risper Chebet (69:24) and Esther Chemtai Ndeima (69:49) lead the women’s field. 2016 Kenyan National Championships Results Distance highlights included Nicholas Kiplangat‘s 1:43.91 and Emily Jerotich clocking 2:00.30 to beat Winny Chebet by .10. 1,500s: Vincent Letting with 3:37.03 over Timothy Cheruyiot (3:37.04) and Judy Kiyeng wins in 4:05.45. The Standard: Harun Koech Runs Away With Kenyan 400H Title In 48.99 Koech is the brother of world 400H champ Nicholas Bett. Eddah Jepkosgei (2:39:53) And Boaz Kiprono (2:19:55) Win Edinburgh Marathon Titles In his 7th marathon of 2016, American Chris Zablocki was 4th. Forget The Sub-4 Minute Mile: David Weir Becomes First Wheelchair Racer To Do A Sub-3 Minute Mile Weir, whose time was 2:57, even got a special congratulatory message from Roger Bannister. After 23 Positive Re-Tests, London 2012 Has Potential To Be The “Dirtiest Games Ever” At least based on number of cheaters actually caught. 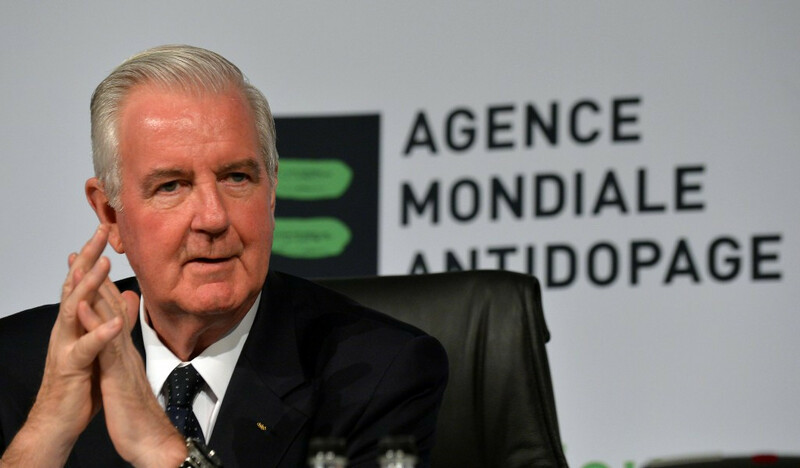 Boxing Facing Olympic Ban After Sport Failed To Carry Out A Single Out-Of-Competition Doping Test In 2015 And Only One In 2014 The whole sport now runs the risk of being declared non-compliant by WADA. Weather Scrubs First Day Of NCAA West Preliminary Meet Heavy rain and thunderstorms postponed all Thursday’s events. *MB: 2016 NCAA West Regional Weather Chaos – What will they do? MB: NCAA East prelim/regionals predictions? 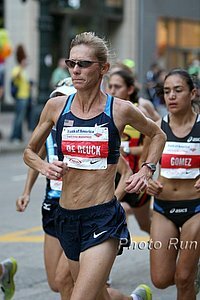 RRW: At 52, Colleen De Reuck To Maker Her Comrades Marathon Debut De Reuck has a strong connection to the race as she grew up very close to the course and her father ran it 15 times and her brother finished in the top 10 in 1995. 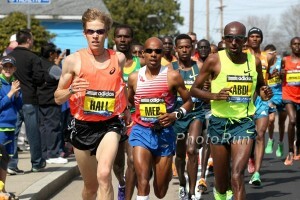 June 11: 18 Rio-Bound Olympic Marathoners to Headline Stacked Field for NYRR New York Mini 10K On June In Central Park Desi Linden faces London Marathon champion Jemima Sumgong, recent US citizen Aliphine Tuliamuk-Bolton and Diane Nukuri. June 4: RRW Preview: Sara Hall, Serena Burla Lead Freihofer’s Run For Women Entries The race will have its first American woman in 11 years as prize money will be for US athletes only. 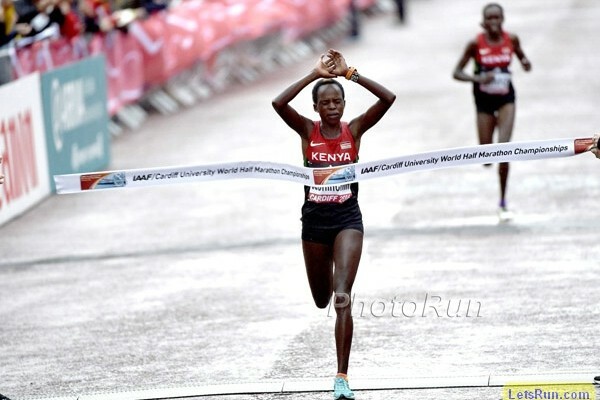 2015 winner Emily Chebet, who also won in 2010 and 2013, was given a 4-year doping ban last year. Kenyan National Championships Are This Weekend These are different than the Olympic Trials, but will be used to pick team for the African Championships. June 5th: World’s Best LJers Will Do Battle At Birmingham DL Greg Rutherford, Marquise Goodwin, World indoor champ Marquis Dendy and Christian Taylor. June 16: World Champ Julius Yego Will Lead Outstanding Javelin Field For Stockholm DL He’ll face former world champ Vitezslav Vesely. *MB: Interesting Travis Tygart NY Times column on Russian doping crisis – He rips WADA almost as much as Russia!! Man Born Without Arms Or Legs Is Doing Calgary Marathon This Weekend He has a foot which he uses to help propel himself on a longboard. Video Of Idaho State’s Shelby Erdahl Finishing 400m Hurdles In 2:53.26 With Totally Ruptured Achilles And Scoring 1 Point At Big Sky Conference Has Gone Viral She was even interviewed on Sports Center. Interesting Point In NY Times: Children In Wheelchairs Or With Severe Autism Have Been Using Bathroom Of The Opposite Gender For Decades Many parents say there is no chance they could be left alone to go in the bathroom of their gender. 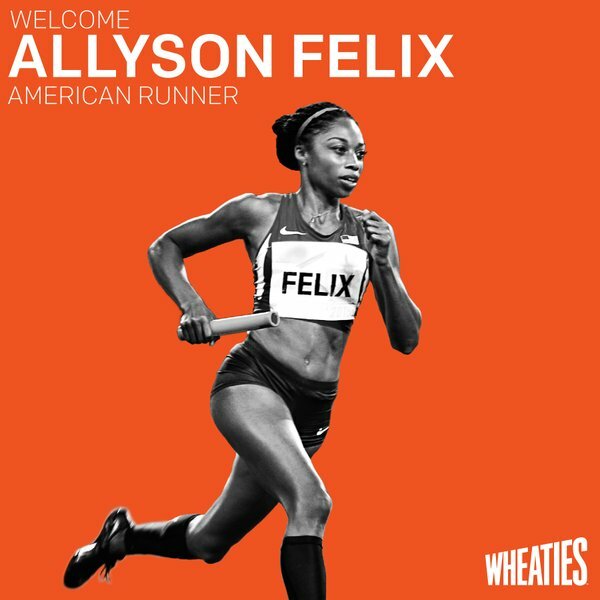 Allyson Felix Pulls Out Of Pre Classic With Ankle Injury Coach Kersee says, though, that training is going well and she’s still planning on doubling at USAs. 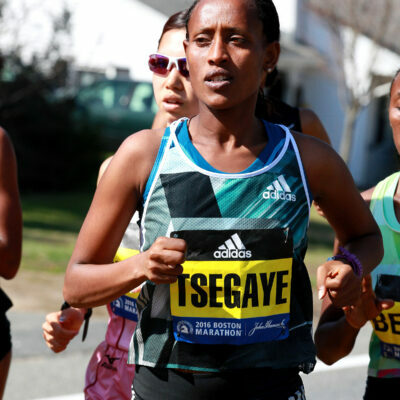 While You Wait For The Week That Was: Read The Daily Relay’s Weekly Recap The talk about Hoka One One, Semenya, Ayana and the Ethiopian marathon selection. Kenya Changes Date Of Olympic Trials (Again) Trials To June 30- July 1 It will be June 30-July 1 so Kenyans can run in Stockholm and Oslo. They finally got the date right as there are no DL meets from mid-June to mid-July. Still Don’t Know Where It Will Be Held Eldoret has not been confirmed. Former Euro XC Champ Fionnuala McCormack Leads Irish Olympic Marathon Squad Then there are Lizzie Lee (2:32), Breege Connolly (2:37) and Kevin Seaward, Mick Clohisey and Paul Pollock (all in the 2:14-2:15 range). Heartbroken Irish Marathoner Sergiu Ciobanu Set To Appeal After “Unfair” Olympic Omission Ciobanu’s time was 24 seconds faster than Pollock’s, but he feels he was left out because he is originally from Moldova. Almost Half The “Beijing 31” Were Russians – Anyone Surprised? 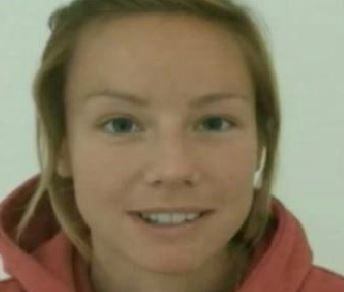 London 2012 HJ Champion Anna Chicherova And 13 Other Russians Are Reportedly Among The 31 Athletes Caught Doping Through Beijing 2008 Re-Tests Chicherova won Olympic bronze in 2008 and World gold in 2011. USA’s Brigetta Barrett finished runner-up behind her in London 2012. WADA Investigation Into Sochi Doping Claims To Be Competed In Time For Rio The investigation will look into whistleblower Grigory Rodchenkov‘s claim that he swapped hundreds of dirty urine samples in Sochi. We’ll Never Understand UK Athletics’ Decisions: UKA Will Prevent Martyn Rooney From Defending His European Title Because They Want Him To Focus On Training For Rio This is the guy they made appeal his way onto the World team last year (and then made him captain). Euros are a month before the Olympics, but they say that’s too close. 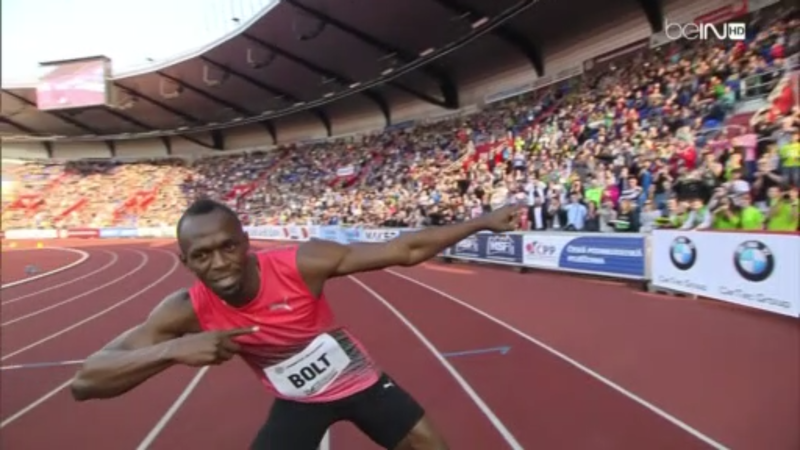 Meanwhile, they’ve made exceptions in the past for Mo Farah and any field athlete. GB 110 Hurdler Andy Pozzi Smashes His PB At Loughborough International With 13.32 In the 100, CJ Ujah came out on top with a 10.06 to James Dasaolu‘s 10.16. Daily Mail: Mo Farah Shuts Down His Charity After It Spent More On Marketing And A Glitzy Ball Than Helping African Children The charity reportedly spent $155,100 on marketing and fundraising ($119,700 on a ball), but gave $134,600 to projects in Africa and $36,000 in the UK. 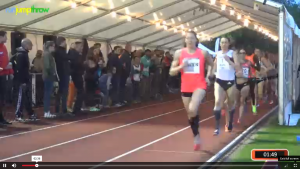 Irish Teenager Elizabeth Morland Breaks National Heptathlon Record With 5,545 Points In Irish distance news, Ciara Mageen ran a 4:98 victory in Belgium and marathoner Sergiu Ciobanu lost his appeal of the controversial Olympic selections. 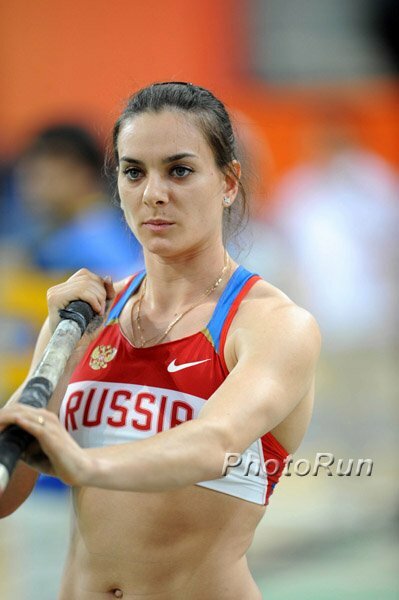 Russian HJer Anna Chicherova Continues To Compete Despite Reports She Was Caught In Beijing Re-Tests Her coach says they’ve received no notice from the IAAF so will continue to compete. Good Read: Seb Coe Slams UK Media; Says “It Would Be Delusional To Say London 2012 Was The Dirtiest Olympic Games Ever” We agree with him there; previous Olympics before effective drug testing were likely way dirtier. The Telegraph Visits Moscow’s Discredited Anti-Doping Lab And Talks With Athletes And New Federation Head They all swear Russia has turned over a new leaf and some are still delusional (or desperate) enough to contest the original allegations in the first place. What A Joke: Former UCI President Hein Verbruggen Wins Defamation Case Against Jurnalist Paul Kimmage Kimmage was one of the main journalists who spoke out about doping with the UCI and Lance Armstrong. Now Kimmage will have to pay Verbruggen $12,000 and pay his legal fees. Charne Bosman Beats Out Defending Champion Caroline Wostmann To Win Comrades Wostmann had an 11-minute lead at one point, but had to take numerous “walking breaks” and at one point ran into one of the lead motorcycles. 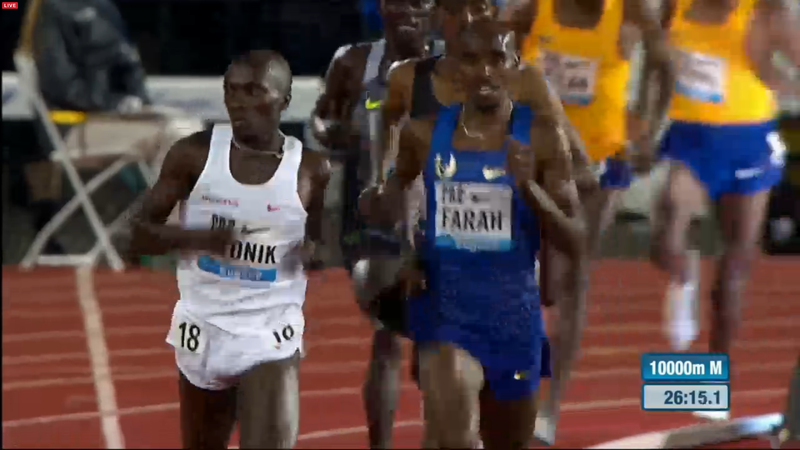 World Half Champ Peres Jepchirchir Wins Ottawa 10K In 31:29 After Almost Collapsing At The Finish Line, Struggling In The Hot And Humid Conditions Morocco’s Mohammed Ziani (28:37) was the surprise winner in the men’s race. 150 Expert Doctors, Scientists And Researchers Say Rio Should Be Moved Due To Zika Concerns They fear it will help spread Zika worldwide and accuse the World Health Organisation of having a “conflict of interest” because of the financial investments. 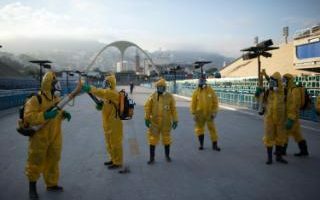 World Health Organization Rejects Calls To Move Rio 2016 Due To Zika They say it will “not significantly alter” the spread of the virus. 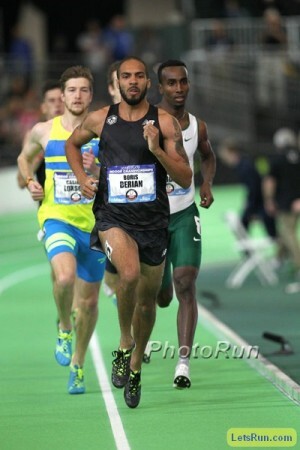 WTW Top 5 Winners From Hoka Meet, 40-Year-Old Kim Collins Beats 20-Year-Old Trayvon Bromell, Lawi Lalang Struggles, And Is Mike Powell BACK?! 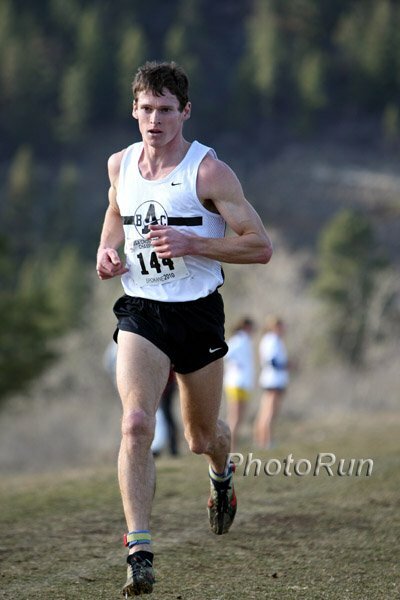 Plus read about the dude who tried to hang with Chris Solinsky at the state XC meet. 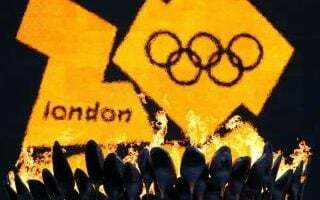 IOC Finds 23 Positives In London Olympics Doping Retests 23 athletes from 6 countries and 5 sports. What’s the over/under on how many of them are Russians? Maria Sharapova On Russia’s Provisional Olympic Team For Rio Despite Her Provisional Drug Suspension This should help out Russia with its doping image issues. 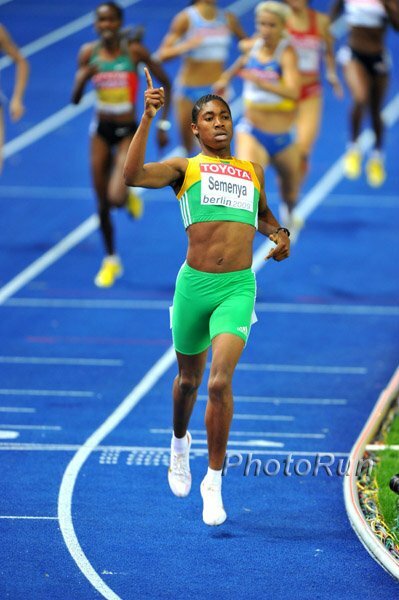 Botswana’s Former World 400 Champ Amantle Montsho Planning Comeback In 2016 Her drug suspension will end on August 1st, but she’ll miss the Olympics as she won’t have a qualifying time by the July 11th deadline. Joke Video: Australian Race Walker Jared Tallent Awards Himself Mock Olympic Gold Medal In His Backyard Tallent was upgraded to 2012 Olympic gold after the Russian winner was caught doping. Study Claims That The Olympic Brand In Decline Ahead Of Rio 2016 With drug and corruption scandals left and right, you’d assume this much, but the study focuses on the negative impact from the Zika virus and other Rio 2016-specific issues. 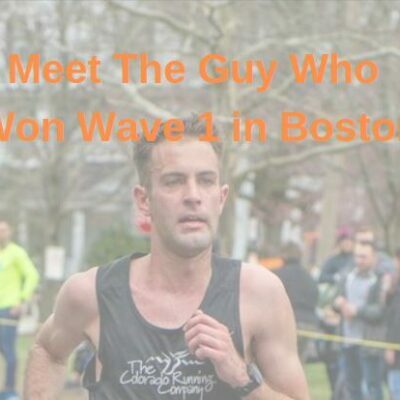 Michael Slogowski Says He’s “A Little Nervous Racing Pros For The First Time” But Is Looking Forward To Running Against Competition Almost all his races this year have been solo efforts. Press Conference Quotes From Vashti Cunningham, Sanya Richards-Ross, Aries Merritt, Christian Taylor And Justin Gatlin Richards-Ross ran a 51-second 400 in practice leading up to Pre. Shelly-Ann Fraser-Pryce Faces Crucial Injury Test In Pre 100m She’s still working through a toe injury which has required her to take time off and miss several meets. Good Profile Of Spanish HJer Ruth Beitia, Who Is Making Her 2016 DL Debut In Eugene Beitia won the DL title in 2015. Interestingly, she retired in 2012 at age 33 after finishing 4th in the Olympics. She’s Not Competing At Pre, But We Wish She Was Shalane Flanagan Did Special 90-Minute Run In Environmental Chamber At US Olympic Training Center To Learn About Properly Getting Ready For Rio Heat She nearly didn’t make it through the heat of LA. Dakar Is Complete Results: 2016 IAAF World Challenge Dakar Results American Jarvis Gotch won the long jump with a 27′ 3¼” (8.31m) leap. *MB: Broken wind or measurement gauge? American Jarvis Gotch just won the Dakar LJ w 27′ 3¼” (8.31) leap into -4m/s wind! 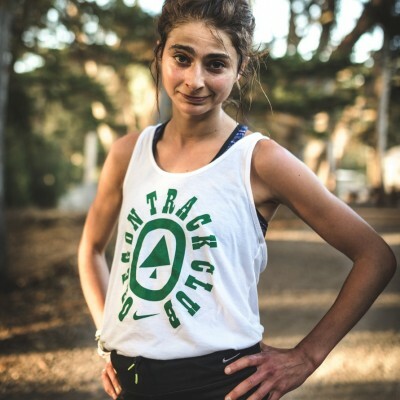 Recommended Read: Alexi Pappas Gets Lengthy Profile Piece In The NY Times The article doesn’t just focus on running, but Pappas’ other talents in poetry, acting and film-making. Drew Hunter, Michael Slagowski And Austin Tamagno Will All Compete In Pro Races At Pre Disappointingly, Hunter and Slagowski will be in separate races. adidas Dream Mile Switches Girls Races To 1,500 To Target Olympic Trials Standard A rabbit will pace the race at the OT standard of 4:09.50. The Register-Guard Takes A Look Back At Frank Shorter’s Double Olympic Trials Win In The Marathon And 10,000 In 1976 At the Montreal Olympics, shorter ended up just doing the marathon and won silver. Top Six Teams Remain Unchanged As Texas A&M Men Continue To Lead NCAA Rankings LSU and Florida are ranked 2-3. Kentucky And Arkansas Women Lead The Way In Updated NCAA Rankings Oregon is ranked 3rd. Best Collegiate Marks Of The Weekend: May 16-22 Thomas Awad‘s 3:37.75 highlighted the distance action. IAAF First Impressions Q&A With Ukraine HJer Bogdan Bondarenko Interestingly, Bondarenko’s first and current coach is his father. 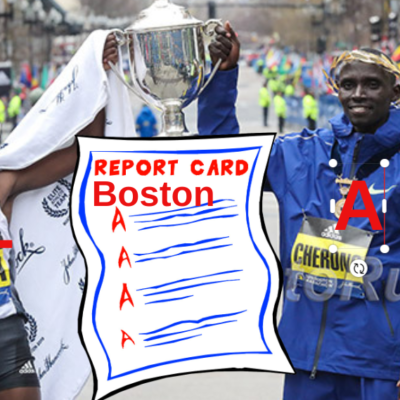 Athletics Illustrated: Mo Ahmed’s 13:01 Canadian Record At Pre Finally Brings Him Out Of Cam Levins’ Shadow Christopher Kelsall writes that Ahmed caused a “social media flutter” when he took the lead with 1 lap to go at Pre. Estonia Marathoners Leila, Liina, And Lily Luik Will Make History In Rio As The First Set Of Triplets Ever To Compete At An Olympic Games The fastest has a PR of 2:37 and the other two are 2:39 and 2:40. Make Your Dreams A Reality: 800 Runner Dominique Jackson Blogs About Achieving Her Dream Of Qualifying For The Olympic Trials By Running 2:02.39 She just missed qualifying for the 2008 Trials by one spot when she was 19 and didn’t run during the 2012 season. The Beginning Of The End For Women’s Sports? Transgender Girl Finishes 3rd In Alaskan High School State Meet This was the fear two weeks ago when the US government said schools would have to allow students to compete in sports “consistent with their gender identity.” Now that fear is a reality. Good Read: Profile On US High Jump Record Holder Chaunte Lowe, Who Is Shooting To Compete In Her Fourth Olympic Games In Rio Lowe (who has 3 kids) talks about wanting to quit every day when she was coming back from her pregnancies and tells a funny story about talking to her 5-year-old on the phone after winning 2012 World Indoor gold. World 400 Champ Wayde Van Niekerk Donates $32,000 To South African Hospital Neonatal Unit Van Niekerk was himself a premature baby and spent several weeks in an incubator when he was born. South Africa’s Carina Horn Runs SB 11.18 In Austria Poland’s Ewa Swoboda was 2nd in with an identical time, setting a new national junior record. 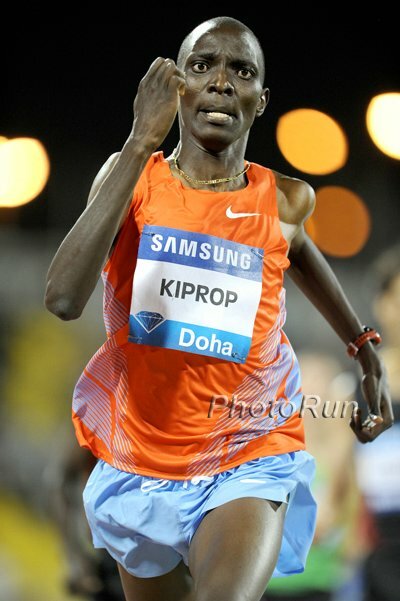 World Half Champ Peres Jepchirchir Vs. Gladys Cherono Highlights Ottawa 10K; 2:05:50 Man Dino Sefir Leads Men’s Marathon Field The women’s marathon has former 5,000 Olympic silver medalist Isabella Ochichi and Simon Cheprot (27:41) is the favorite in the men’s 10K. Kenya’s Peter Wanjiru Looking To Win Back-To-Back Edinburgh Marathon Titles On Sunday US 2:15 man Chris Zablocki will run his 7th marathon of 2016. Joan Kigen will try to defend her title in the women’s race. Gemma Steel And 4 Olympic Marathon Runners Will Lead UK’s Half Marathon Squad For European Championships So UK Athletics is okay with marathoners racing a half one month before Rio, but not a sprinter doing a 400? 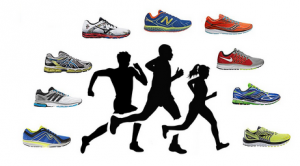 Japan Federation Bows To Public Pressure With New Selection Policies For 2017 World Championships Marathon Team The new policy will guarantee team selection to runners who run under JAAF’s time standard and finish as the top Japanese in a selection race. 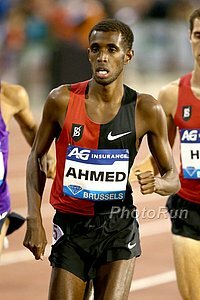 USATF Suspends Its Entire Youth Executive Committee And Its Chairman, Lionel Leach Due to a dispute about the selection of the vendor to provide registration services for national youth championships. 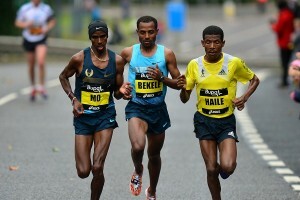 Irish Choose 4th Irishman In Berlin Marathon For Olympics Over 3rd Placer – Was It Because The #3 Was Born In Moldova? 24-Year-Old Andrew Butchart Broke The 33-Year-Old Scottish 5,000 Record By Running 13:13 In Hengelo And The Last Lap He Ran With Only One Shoe! 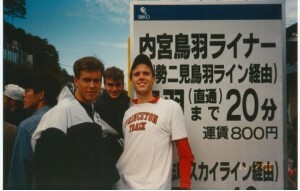 At the start of the year, he had a 13:29 PR. Defending Down Comrades Champ Ellie Greenwood Has To Withdraw With Injury She said everything was going great until about 3 weeks ago when her hip started to hurt and now it extends all the way down to her knee and she can’t even run 30 minutes. Russian Sports Minister Vitaly Mutko Urges IAAF To Lift Ban For Rio Olympics “Personally, I am in favour of individual punishments for athletes who violate anti-doping rules,” said the Russian sports minister Vitaly Mutko. Inside Moscow’s Discredited Drug Testing Lab The BBC gets inside access. 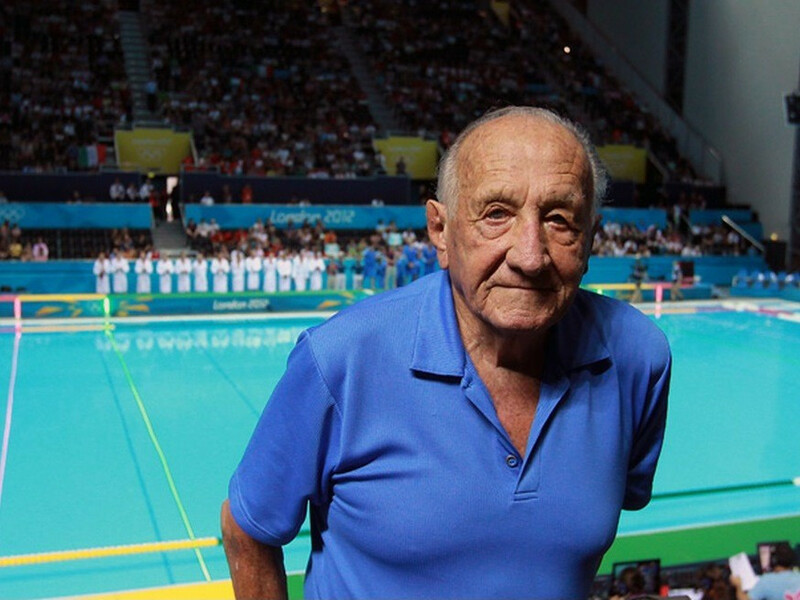 Alan Abrahamson Says Russians Should Be Allowed To Compete Even If KSB Helped Them Dope We disagree. If the KSB allegations are proven, they have to be punished. Chicherova Finally Speaks About 2012 Positive – Says She’s “Shocked” “For me it’s the most complete shock. 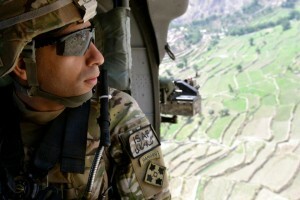 I can’t explain how it could have happened,” she said. We’ll explain it: You were a Russian Olympian, end of story. IAAF First Impressions Q&A With Serbia’s World Long Jump Silver Medalist Ivana Spanovic She says her first sport was karate, first pet was a cat that slept on her head and first CD was Avril Lavigne (though she was clear to say it isn’t something she’d listen to today). Tomorrow: Former WR Holder Betty Heidler Leads Hammer Field For Dakar World Challenge Meet In other meet action, former African Jr. champ Haftamnesh Tsefay will face Ethiopian champion Dera Dida in the 3,000. 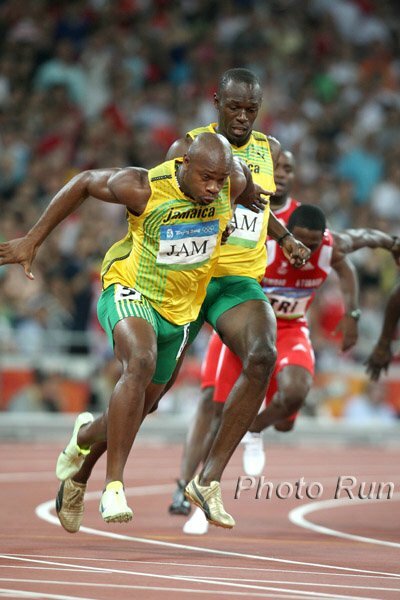 Get Pumped: Amazing Clash Set For June 11th Racers Grand Prix As Usain Bolt, Yohan Blake And Asafa Powell Will Race Over 100m It will only be the second time ever that the three have raced each other on Jamaican soil. World 400 Champ Wayde Van Niekerk To Train With Usain Bolt Leading Up To The June 11th Racers Grand Prix In Jamaica At the Racers GP, he’ll run the 300m against LaShawn Merritt. Jamaica’s Omar McLeod Will Face Aries Merritt In Pre Classic 110H This Weekend In the 400H, Kenya’s World champ Nicholas Bett will face Jeffery Gibson and Bershawn Jackson. Video Interview With Jeremy Wariner After 46.33 Third Place In Hengelo Wariner feels that after LaShawn Merritt, the second two Olympic 400 spots are wide open and he’s hoping he’ll be able to compete for them. US’s World 200 Finalist Jeneba Tarmoh Gives Some Advice On How To “Run The Curve” There is a lot more strategy and technique to running the 200 than you might think.